Dubai’s construction boom might be in reverse gear but efforts to build on the Irish Open foundations laid down by defunct sponsors 3 are moving ahead apace according to three-time major winner Padraig Harrington. True to his word, the European Tour’s chief executive George O’Grady has been keeping the Irish players abreast of his efforts to find a new backer and make sure that two years spent rebuilding the event have not been for nothing. Harrington was frustrated to “do the superfluous things very well and the important things very poorly” as he opened with a two-over 74 in the Dubai World Championship. But he is greatly encouraged that the tour is committed to making the Irish Open happen next July. 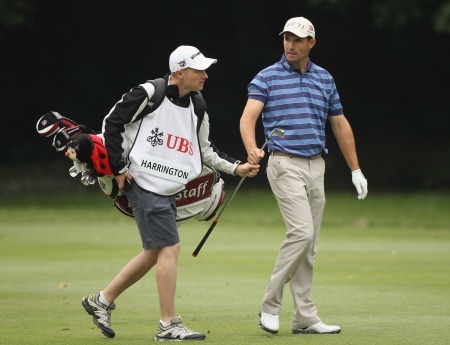 “I met with George and there is a plan in hand but the Tour badly needs to find a sponsor,” Harrington said. “It’s on the schedule and assuming that there is a sponsor, it’s going to go ahead. “3 have done a good job in getting the Irish Open to a certain level and the Tour certainly want to make sure it’s there on the schedule. Everyone wants the Irish Open, and you have to thank ‘3’ for that. “It was an exciting event last year at Killarney. The crowds were superb. It was a profitable gate and a good return for the tournament in that sense. With the help of his management company, IMG, Harrington is also working behind the scenes to bring a global sponsor to the table. 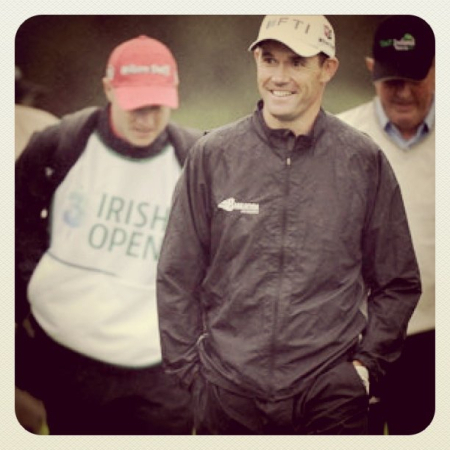 If that happens the event would have “presented by Padraig Harrington” tagged into the title. Maintaining the current €3m purse is going to be difficult task and seems impossible. But Harrington sees that as a key issue. Harrington was keen to point out that if the pulling power of Darren Clarke, Graeme McDowell or Rory McIlroy helped secure a new sponsor, a move north of the border would be welcomed with open arms. But Darren Clarke was encouraged by his chat with O’Grady and the possibility of taking tour golf to Royal Portrush, where he believe “20-30,000” fans would turn up. Padraig Harrington insists he will become Mr Ambassador if it his clout helps secure a new global sponsor for the Irish Open. Padraig Harrington shelters from a squally shower during the Barclays Scottish Open earlier this month. 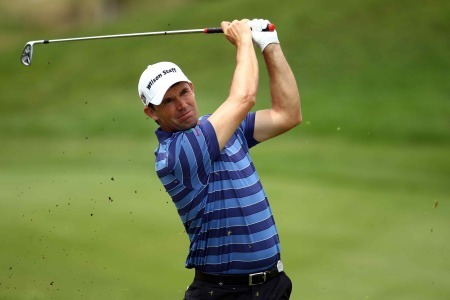 Picture Stuart Adams /www.golffile.ieDefiant Padraig Harrington is determined to use his mental strength to ignore his critics and prove he’s not finished as a big time player. The triple major winner is constantly reminded that he hasn’t won on the European or the US Tour for nearly three years and has slumped from third to 64th in the world rankings since his 2008 US PGA win. But as he plays second fiddle to newly crowned Open champion Darren Clarke and US Open champ Rory McIlroy this week he’s determined to ignore the doubters. Padraig Harrington wants to win his second Irish Open at Royal Portrush this summer. Picture © Getty ImagesPadraig Harrington is hoping the move to his “favourite course” will inspire him to capture his second Irish Open title, writes the European Tour. Three-time Major Champion Padraig Harrington of Ireland in action during the second round of the Irish Open at Royal Portrush. Picture copyright Getty ImagesPadraig Harrington insists that he will use the fans as fuel to power his way to Irish Open glory at Royal Portrush.